This simple Sandwich Sushi is a snap to make. And no, it's not made with fish—raw or otherwise! Kids of all ages will appreciate these fun sushi-shaped sandwiches. Place 1 bread slice between 2 sheets of parchment; roll to 1/4-inch thickness with rolling pin. Cut off and discard crusts. Repeat with remaining bread slices. Spread bread slices with cream cheese product; top with Kraft Singles and ham. Roll up, starting at one short side of each. Cut each into 4 slices. Prepare using your favourite sliced deli meat. 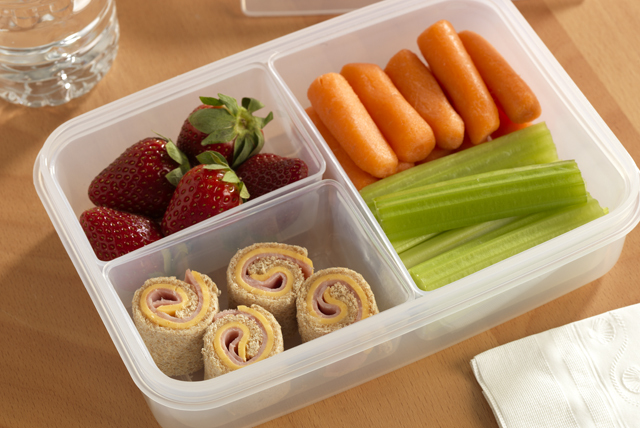 Serve in a fun Japanese-inspired bento box with simple sides, such as baby carrots, celery sticks and fresh strawberries.